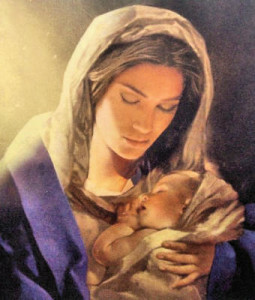 One of my favorite Christmas songs is “Mary Did You Know” so over the years I have pondered that very question and thought about what it must have been like to be the mother of “Immanuel,” God with us. The night Jesus was born in that animal shelter a great multitude of angels appear to the humble shepherds and tell them, “Unto you is born this day a Savior.” When they go to see the child, they share all that the angels told them with Mary and Joseph. The other witness at the temple is the prophetess Anna, who lives at the temple, worshipping, fasting and praying continually. She speaks to the parents of redemption in Jerusalem. Mary at all of these things spoken to her by Gabriel, her cousin Elizabeth, the Shepherds, the Wiremen, Simeon, and Anna, treasures them and ponders them in her heart. So, back to our question: Mary (and Joseph) did you know? I would have to say, “yes” they did. Maybe not everything, God doesn’t work that way. He expects us to live by faith after all. But those two knew who Jesus was, knew He was Holy, knew He was “God with Us.” What an awesome and awful responsibility! Yes, an honor, and yes, Mary is blessed, but think about it. We are so paranoid, partially thanks to people like Sigmund Freud, that we are going to mess up our kids. That somehow we are going to not be strong enough, soft enough, give the right advice, give the right gifts, spend enough time, the list is long, and that they won’t be who they are supposed to be. What if you had been in Mary’s shoes? Clearly, scripture tells us that she pondered these things in her heart. It doesn’t tell us that she worried, or fretted, or ended up being some psychotic overprotective parent. The only time we read about her experiencing any anxiety is when they left Jerusalem without Him and didn’t find Him for three days. Even Jesus at that time, age twelve, expected His parents to understand that He had work to do. Why is important to know that Mary and Joseph had an understanding of who their little one was? Because we have all been given the same task, as parents, we have been given a child to raise. Granted they aren’t deity, though we sometimes think that way in our own hearts, but they each have a purpose and God has destined them for great things. Should that stress us out? No. We should “treasure it up and ponder it in our hearts” as Mary did. Why did God choose her? The only answer I have for that is that He knew she was the best person for that job. Isn’t that why he chose you? It isn’t a mistake that you have the children that you do. He chose you. You are the best person for the job. Walk in faith. Trust God and be led by His Spirit. Your children, just like Jesus, are destined for greatness! This entry was posted in Thoughts and tagged Bible, Christ, Christianity, Christmas, destiny, God with us, God's love, God's word, Holy Spirit, Immanuel, Jesus, love, Mary, parenting, raising children, Salvation, the birth of Christ.